An award winning and commercially astute Managing Director with a proven track record delivering strategic, operational and financial leadership and strong execution, to consistently deliver YOY sales and brand growth through innovative solutions, continuous improvement, business turnaround and transformation across multinational sites for global blue chip companies in UAE, Turkey and EMEA. An entrepreneurial customer focused and ambitious leader who builds high performing cross-functional teams, partnerships, and operations based on extensive B2B & B2C sales and marketing expertise; focusing on collaboration, talent management and adding value, whilst balancing multiple P&L, channels and objectives at local, regional and national level with exceptional integrity. Tayfun is a board member for several startups promoting entrepreneurs as well as lectured at several Universities on marketing and talent & leadership management. 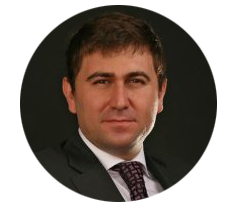 Tayfun holds an Executive MBA from KOC university , a M.Sc in Electronics and Telecommunication Engineering as well as B.Sc in Electrical and Electronics Engineering.